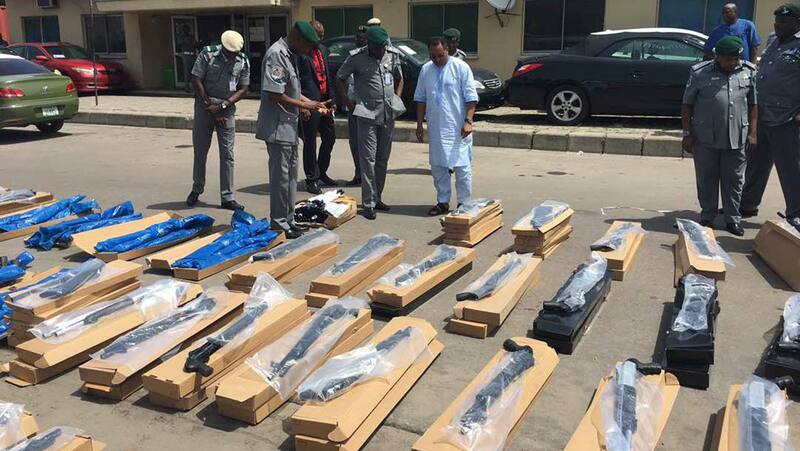 The intercepted 440 pump action rifles displayed by the Nigeria Customs Service at Tin Can Island Port in Lagos. Sequel to the seizure of about 2,671 pieces of smuggled firearms within eight months, security experts have called for permanent deployment of security agencies to hot spots into Nigeria, in order to restore confidence in prospective foreign investors that have been scared by the recent development. Indeed, the experts said this should serve as a wake-up call to the security agencies on the need to plug all loopholes, and ensure that the country ceased to be a dumping ground for weapons. 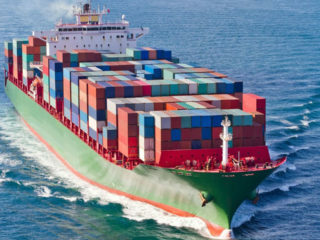 Meanwhile, facts have emerged that the container bearing the 1,100 pieces of pump action riffles was actually listed and dropped for physical examination, but the import duty was yet to be paid as at the time of interception. Facts gathered by The Guardian revealed that the 20-foot container with identification number GESU2555208, which arrived the Tin Can Island Container Terminal on board MV Bella Shuttle, in which the arms were concealed was actually listed for examination, contrary to earlier reports.The suspects arrested in connection with the consignment and other smuggled arms incidents are currently languishing in detention. A security expert and Managing Director, Executive Guards Limited, Edinen Usoro, said the Nigerian Customs Service (NSC), and other relevant agencies must leave no stone unturned to monitor all entry points into the country. He said the major implication of what illegal arms do is to kill businesses, and send investors away, adding that when the security situation of the environment is not conducive for business, investors are afraid to bring in their capital and invest. Linking illegal arms importation to high rate of kidnapping in the country, Usoro further said the importation may just be ways some criminals are trying to advance their nefarious activities.Another expert, Mrs. Victoria Ekhomu, said security at the ports is not effective, as most of the illegal arms were intercepted only through a tip-off. 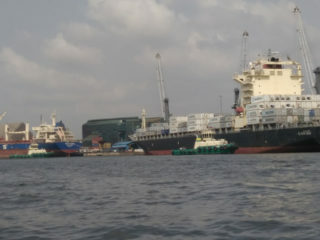 The implication of this, she said, is that many of such killer cargoes may have been secretly evacuated from the ports undetected.Ekhomu advised that with the frightening threats emerging from different quarters, there is a need for renewed attention to the maintenance of national security. “Security at the ports is not effective because most of the containers that were intercepted were through tip-off. That means many others must have already gone out of the port. So, when these groups are making threats, they have to be taken seriously. We have to deploy security agencies around the country to man different hot spots. The United Nations Regional Centre for Peace (RCP), had estimated that there were 350 million Small and Light Weapons (SALWs) in Nigeria, or 70 per cent of the 500 million SALWs in West Africa as of 2016. This explains the disturbing level of violence in the country. With the increasing level of negative factors such as failure of political leadership, bad governance, mass unemployment, poverty, corruption, excessive militarisation, state violence, among others, the tendency that the weapons will become handy to cause national havoc is very high. The National Council of Managing Directors of Licensed Customs Agents (NCMDLCA), Lucky Amiwero, blamed the government for refusing to fix broken down scanners, thereby paving the way for arms of such magnitude to find their way into Nigeria. “There is urgent need to repair the collapsed scanners in the ports that is the core on security tool to reduce the influx of illicit goods in the country,” he added. The Comptroller-General of Customs, Hameed Ali, said the situation had forced the Service to look beyond the ease of doing business policy directive of the Federal Government, in order to ensure the security of lives and property of the citizens. 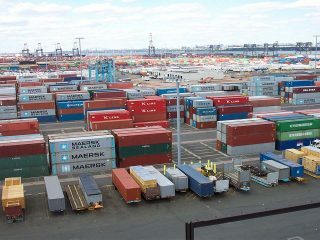 The Customs boss also said all Customs Area Controllers have been put on the red alert at all entry points into Nigeria, including airports, seaports and border posts. He said the agency is also collaborating with the Department of State Service (DSS), and the Nigerian Intelligence Agency (NIA), to nip the menace in the bud.